Fix USB Unknown Device - Learn How? What is USB Unknown Device and How Do You Fix It? USB Unknown Device occurs when you plug a device into a USB port on your computer and a pop-up window on the bottom-right side of your screen appears informing you that the “device cannot be recognized” or a message notifies you that the device might not work properly because of a problem during the installation. As you might notice with our examples, along with the list of hardware devices we have USB Unknown Device identified by the yellow warning symbols. Regarding this error, you will not be able to use your hardware device in a proper way, or it might not function at all. Frequent questions regarding Unknown Device USB Errors are “Why does it occur?” and “How to solve this problem?” Answers to these questions will be discussed throughout the article. Unsupported USB Host Controller: This problem might occur after upgrading your older Operating System (OS) to a newer OS, and often happens for the obsolete versions of OS such as Windows ME, NT, and others. The problem will not be noticed until you experience problems such as USB Unknown Device. In some cases, the USB device itself might not be supported by your OS. 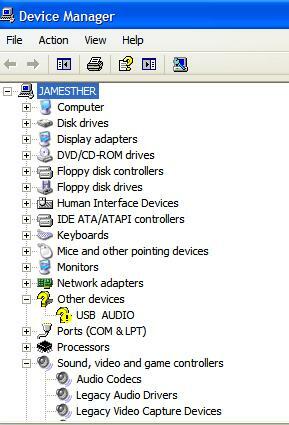 Missing Drivers: USB Unknown Device Problems are mostly due to missing drivers or unrecognized device drivers. When the required device drivers are unrecognized or missing, the connection between your computer and the USB device will be affected and will result in USB Unknown Device Errors such as malfunction or dull performance. Faulty USB device: The basic cause of USB Unknown Device Problems is the hardware device itself. It is because of defective devices which will not work properly every now and then, and might be because of a loose or damaged connector. 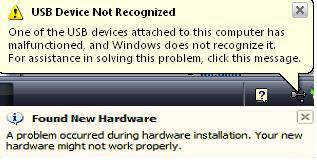 Reinstalling USB device: Just unplug your device and plug it again, this is the most basic way to solve this error. Restarting your computer is another option to reinitiate the connection between your computer and the USB device. This solution often works for faulty devices, also with undetected devices/device drivers. Updating Your Device Drivers: This is the most effective way to solve issues regarding Unknown USB Device and there are two ways to perform this solution, manual and instant. Viruses/Malware: Most downloadable files are bundled with adware and spyware, the worst being free products with bundled viruses that will harm your computer or steal private information such as passwords. Outdated/Corrupted Drivers: You may end up downloading outdated drivers, or corrupted device drivers which may totally damage your USB device. Provides Latest Updates: It automatically checks for the newest release device drivers and software versions. Provides authentic updates from thousands of hardware vendors, keeping your computer up-to-date with the latest drivers available. Wide-range of Compatibility: Driver Detective is compatible with Windows® 7 both 32 and 64-bit, Windows®Vista both 32 and 64-bit, Windows® XP 32-bit and 64-bit, 2000, 2008 and 2008 R2 Server, and 2003 Server. There are many more benefit with Driver Detective aside from solving USB Unknown Device, experience it firsthand by Running Free Driver Scan Now!